Select "Open files from computer"
We removed any unnecessary hitches. Lots of converters you’ll find on the web make you go through an array of web-pages overloaded by ads. Desktop programs always require installation. 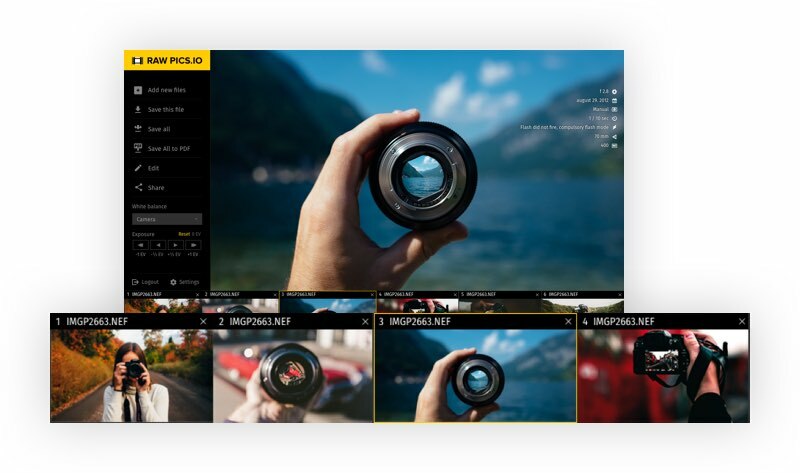 We decided to make using raw.pics.io as easy as it can be. If you want to simply convert some RAW images – you’re free to do so. Looking for Sony raw files support? You can convert ARW to JPEG! You’ll see your image almost immediately. It’s not only because we work with files locally (nothing is uploaded to the Internet), but also because we are able to extract embedded JPG. Only after that we begin to process true raw data to let you correct exposure and other parameters of a photo. You will also see some valuable information about your file in the right column. Our converter allows to convert raw files to jpeg in a batch. Drop your files right into browser window, press 'Convert All', set conversion parameters and get your files in no time. 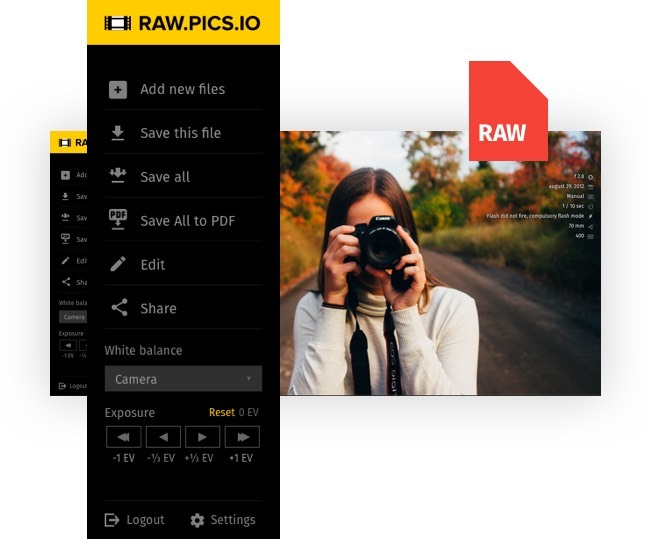 To change RAW to JPG you need nothing but a modern browser. Chrome, Firefox and Safari work really well. To start working you just click “Go to App” and drop an image. As you might know there isn’t one RAW format. It’s a common name for more than 100 different proprietary formats. Bringing support for each and every camera is hard, but we’ve succeeded in bringing support for Canon, Nikon, Sony, Olympus, Pentax, and Fuji cameras. So if you want to convert CR2, NEF, ARW, PEF or RAF to JPG, no additional steps are required. However, if you’re a happy owner of some other camera, to be able to work with raw.pics.io converter you’re gonna need to convert your images using Adobe DNG converter. 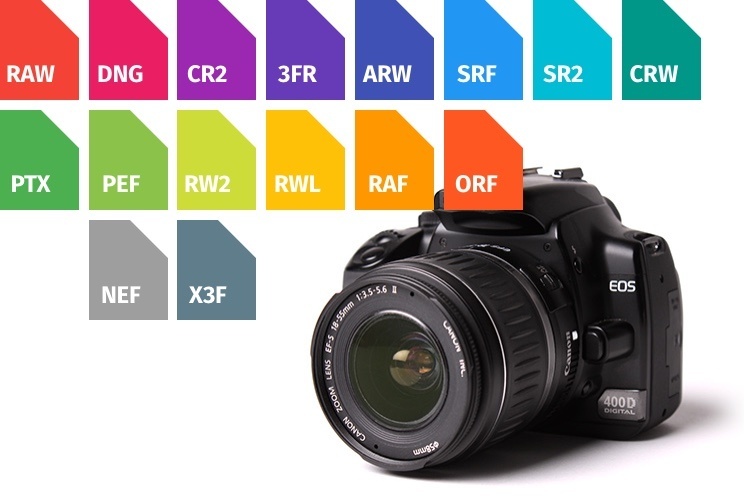 RAW image file format is a generic name for all images generated by professional digital cameras. It contains unaltered, uncompressed “raw” image data as captured by a digital camera's sensor. There are dozens of raw formats in use by different models of digital equipment. How to open and view a RAW image? Unlike standardized JPEG or TIFF file formats, there is no one standard for RAW. That is why, more specialized software may be required to open and view raw files. This complicated software is usually quite expensive and require installation on your desktop computer. 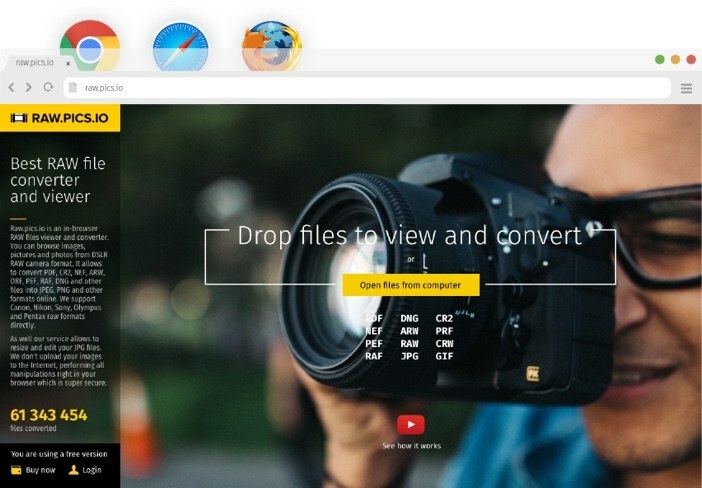 If you need to open and convert just a couple of RAW images into JPEG, a much easier way is to take advantage of a free online converter, such as raw.pics.io. It’s super easy tool that works right in your browser. It doesn’t require registration or installation and it is super easy to use. 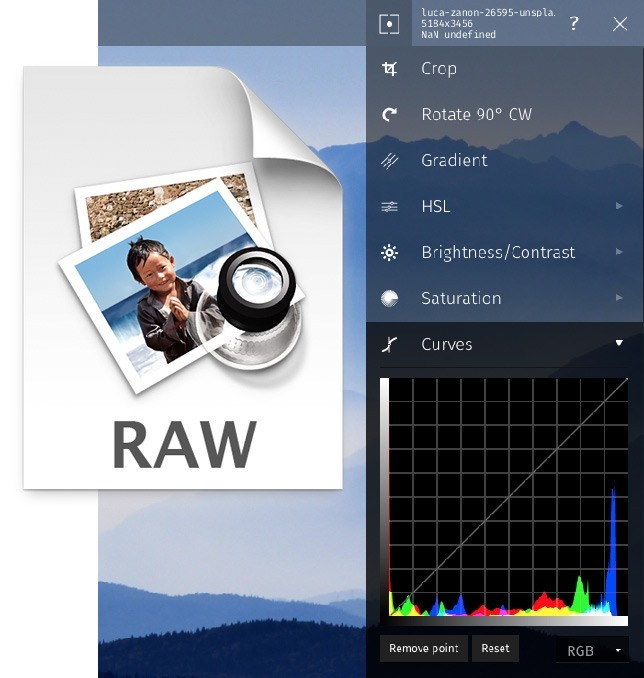 RAW is an uncompressed file format that captures all the data from the camera sensor when you take a photo. No information is compressed and lost, so the resulting image is of much higher quality than JPEG with the same resolution. So, if you are fond of photography, you’d better shoot RAW rather than let your camera automatically process the image in JPEG for you. 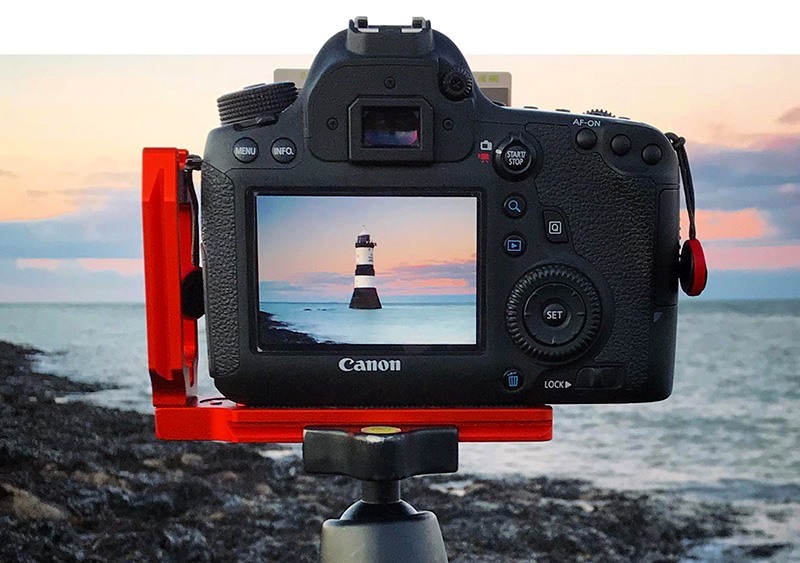 As for the disadvantages of using RAW images, you have to bear in mind that you need to have special software installed on your desktop computer in order to edit and convert RAW files. This is an extra stumbling block in the photo-processing workflow in comparison with standardized out-of-camera JPEGs. Besides, RAW files are usually much heavier and much less transferrable than their JPEG counterparts, which is another disadvantage you have to consider. Need to convert some RAW? 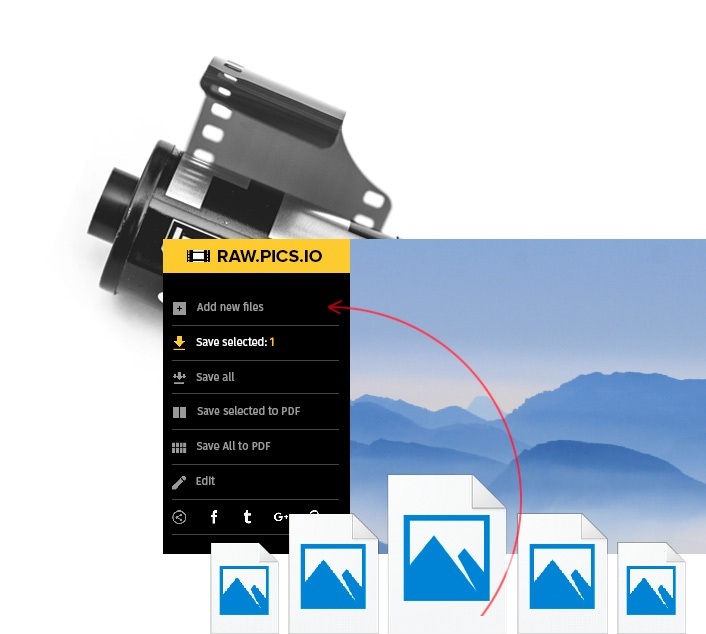 Online service http://raw.pics.io allows to convert RAW formats to JPEG. This is a short tutorial showing its capabilities: batch conversion, resizing, raw decoding.